A few weeks back a good friend of ours was killed in an aerobatic plane crash. Her name was Marta, and Lura and I knew her from our days working at NASA. Of all the people I met at NASA, Marta was unexpectedly my favorite. She had two great passions. The first was flying. In some tragic way when I learned of her death I had some kind of weird calm that she died doing what was most certainly her greatest love. Her second passion was getting young women involved in science. As the father of two girls and the husband of an engineer, the cause resonates with me. Marta had an amazing career. At the time of her death she was the Chief Engineer at NASA Dryden Flight Research Center. 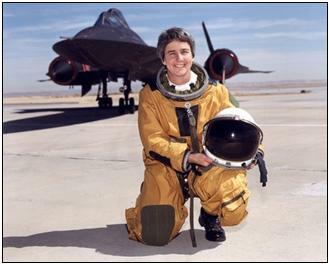 Notably, Marta was best known in the aviation community as being one of two women to ever fly the Mach 3 SR71 Blackbird Spy plane. Because of this notable achievement as well as countless other achievements, she often spoke at Universities and at conferences on promoting women in the sciences. In the last few years Lura and I were lucky to have dinner with her in Denver before one such event. When I worked for her about 10 years ago she was a program manager for a flight test program ongoing at the time. I was young and pissed off about the NASA machine, and she told me I would be much more successful out in the real world. I am forever in her debt for that advice. If you too have a soft spot for getting women involved in science I encourage you to read about her and contribute to the Marta Bohn-Meyer Memorial Fund. You may do so at any Bank of America, the acct id is #2469941400 routing #121000358. The fund is set up to provide capitol for scholarships and education programs for young women interested in science.